Share the joy of the season in song with A Classic Christmas Carolling Songbook! Ideal for church groups, nursing home and shut-in visits, and fun family get-togethers, A Classic Christmas Carolling Songbook's handy sing-along booklets set the stage for an old-fashioned carolling party. Whether singers are standing on the porch or gathered around the piano, these delightful songbooks are large enough to clearly read singing but small enough to slip in a coat pocket or a Bible cover. Arranged alphabetically and priced so everybody in the group can have one, they feature 30 beloved Christmas favourites with words and music from Hendrickson's The Christian Life Hymnal. A Classic Christmas Carolling Songbook by Hendrickson Worship was published by Hendrickson Publishers in November 2016 and is our 7652nd best seller. 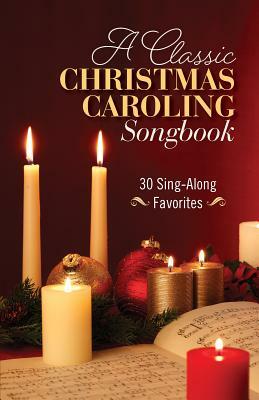 The ISBN for A Classic Christmas Carolling Songbook is 9781619709614. Be the first to review A Classic Christmas Carolling Songbook! Got a question? No problem! Just click here to ask us about A Classic Christmas Carolling Songbook.